NEW !! 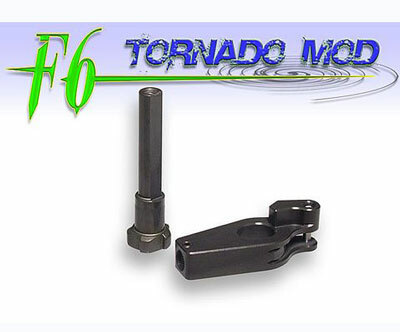 Our new advanced F6 Tornado Mod. is so easy to install, it pretty much obsoletes other designs. With improvements pushing the Tippmann markers upto 30 balls per second, other advancements were needed to be made. Stock plastic components wear rather quickly and require replacement. This upgrade is the perfect solution to truely reduce wear while increasing the speed and performance at the same time. Both of these key parts are hardcoated and teflon treated for rock solid operation with the least amount of friction. 100% compatible on all Cyclone equipped Tippmann’s. SKU: SKU19248 Categories: Discontinued Items, Tippmann Loader Parts Brands: NDZ New Designz. upto 30 balls per second, other advancements were needed to be made. Stock plastic components wear rather quickly and require replacement.